We love this film! The Apple Pushers is an exuberant, life-affirming documentary that takes on some of the most urgent issues of our day — namely food justice, obesity, and immigration. All these concerns are closely related, as writer and director Mary Mazzio so artfully shows. New York City, like every metropolitan area across the country, was faced with food deserts throughout the city — neighborhoods where finding a red ripe apple was a challenge, but where fast-food reigned and obesity rates soared. There isn’t a single fix for this problem, but here’s one we love: flood those food deserts with over a thousand street vendor carts, and bring fresh fruit and vegetables to neighborhoods in need. For more on The Apple Pushers, be sure to check out their very informative website! And here’s two more excellent books on the urban food movement! 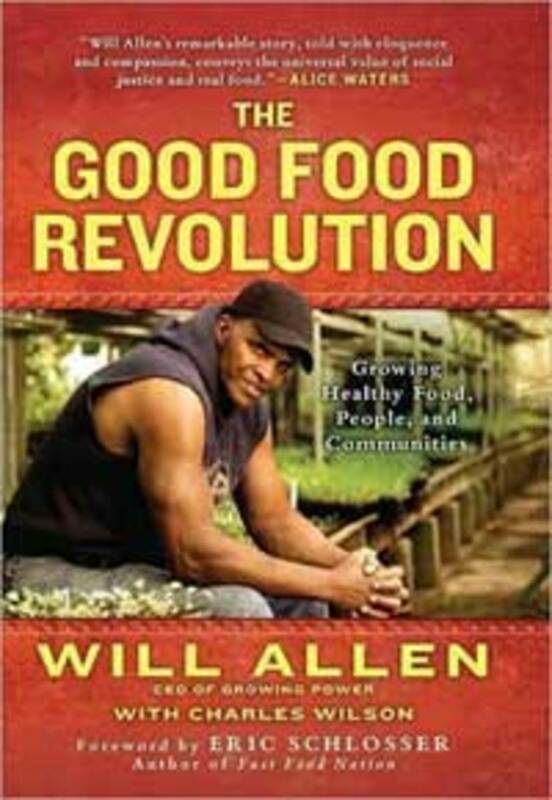 Closing the Food Gap: Resetting the Table in the Land of Plenty by Mark Winnie (a book we keep going back to, again and again), along with Will Allen’s The Good Food Revolution: Growing Healthy Food, People and Communities, the subject of a recent Land Library post, Greening the Food Desert. This entry was posted in City Lives, Designs for a New World, Food & Land. Bookmark the permalink.